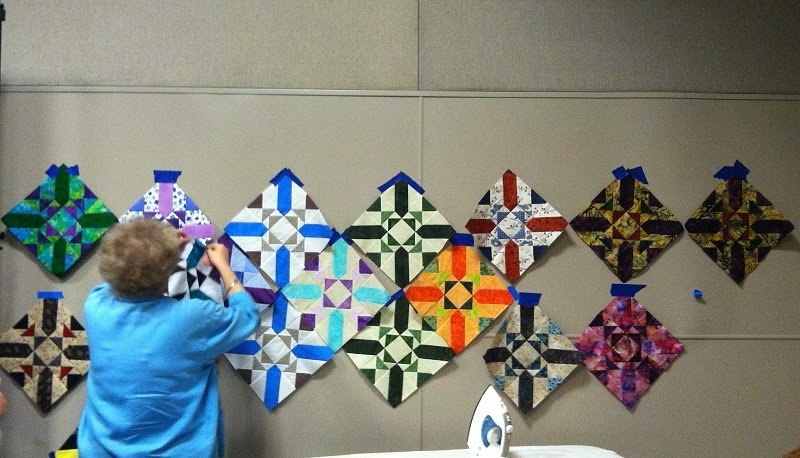 Kerry's Quilting: Road To California! Last week my friend Sandi (Kwiltnkats) and I made the trip to Ontario CA, for Road to California Quilt Show. 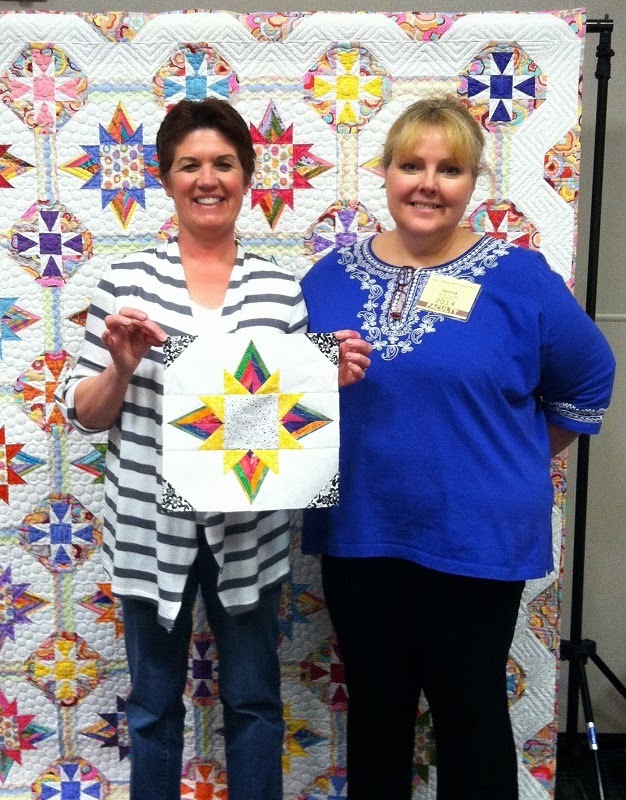 We took two classes, Star Fusion with Janna Thomas (Bloc Loc Rulers) and Harmony Square with Linda Ballard. Both were great classes. Here I am below with Janna and my Star Fusion Block. 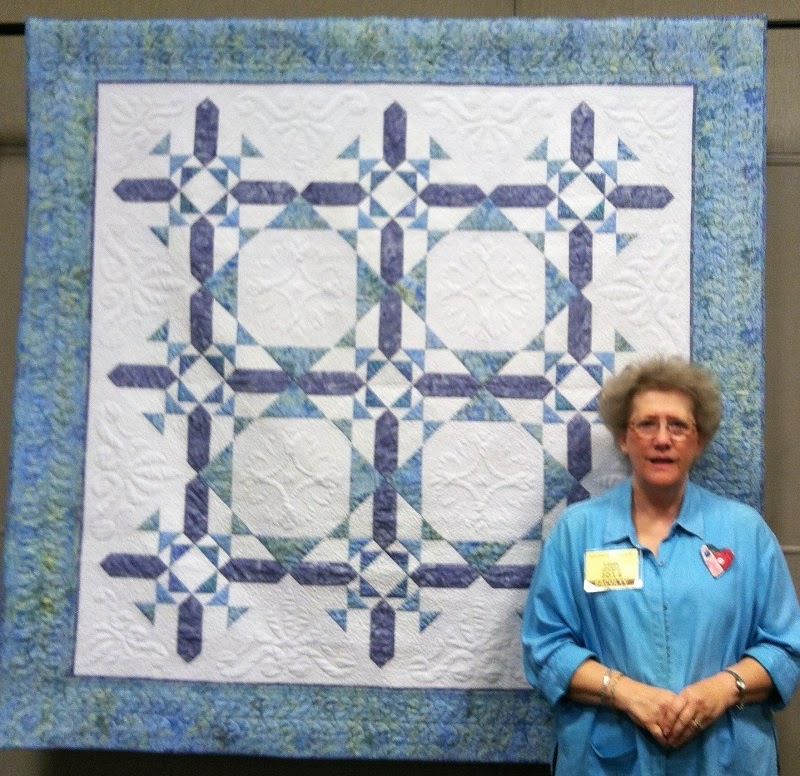 Below are some of the blocks from the Harmony Square Class and a photo of Linda with the finished Quilt. Mine are the green ones in the center of the picture. Linda with Harmony Square blocks from Class. 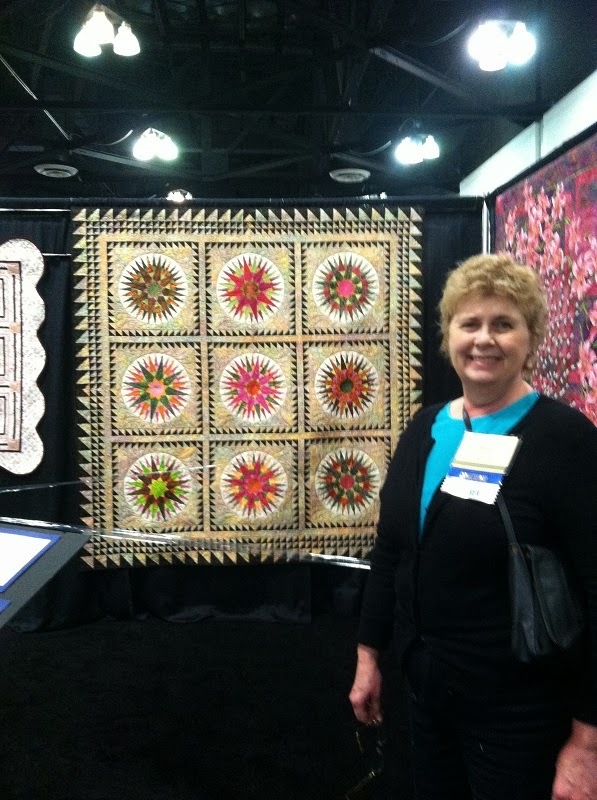 Linda Ballard and her Harmony Square Quilt. Sandi also had two of her quilts excepted into the show at Road. ( I quilted both of them) Her Kartwheels Quilt won second place in the traditional pieced category. Boy were we excited to find out while in our Harmony Square Class. 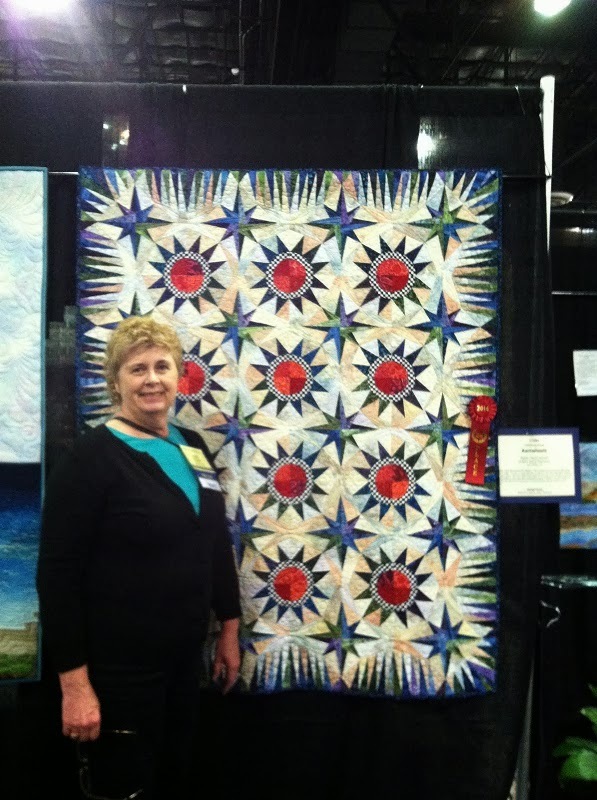 Below is Sandi with the prize winning quilt and with her other entry. We had a great time at the show and in our classes. You will see both projects this year as they are part of my UFO's for the year!